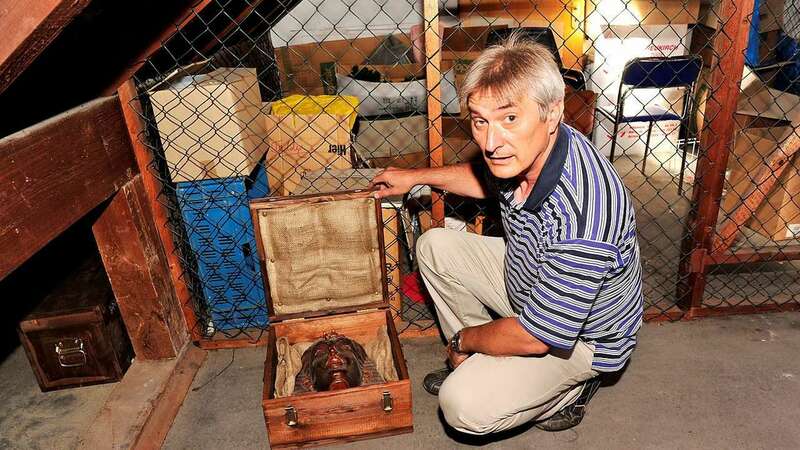 Ten-year-old Alexander Kettler was playing in his grandmother’s attic in Diepholz, a city in the northern German province of Lower Saxony, when he found one large and two small wooden cases stashed behind some shingles. He told his father and grandmother and neither of them had any idea where the boxes had come from or what was inside of them. 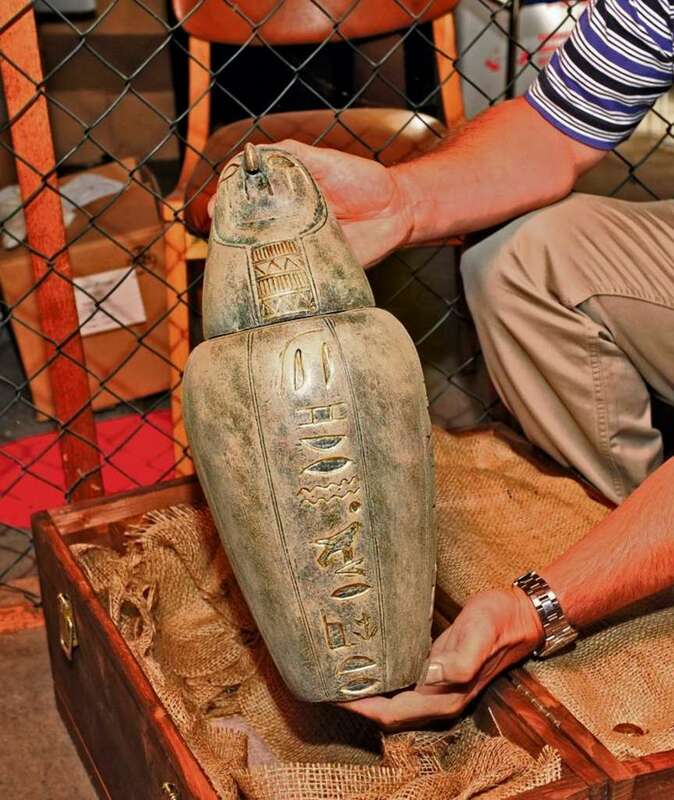 When they opened up the biggest case, they found a sarcophagus holding a linen-wrapped humaniform figure that looks like Boris Karloff in The Mummy. Inside the smaller cases the Kettlers found an earthenware death mask and a canopic jar, vessels ancient Egyptians used to store the viscera during mummification. Alexander’s father, dentist Lutz Wolfgang Kettler, thinks these artifacts may have been acquired by his father in the 1950s. Grandfather Kettler wasn’t much of a talker, apparently, and his son doesn’t know if he was ever in Egypt, but he does vaguely recall a mention of a trip to Libya. 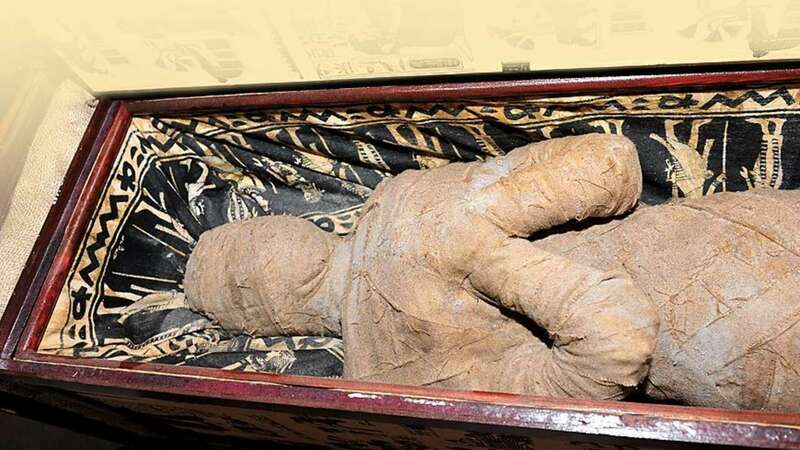 It would have been a relatively simple matter to purchase a mummy in the North Africa of the 1950s and have it shipped back to Germany. Dr. Kettler plans load the sarcophagus into his Mercedes station wagon and drive the mummy to Berlin so an archaeologist friend of his can examine it. 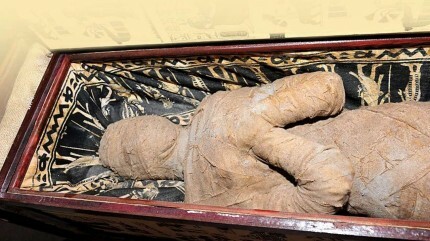 He plans to have the mummy X-rayed to confirm or deny if there are actual human remains in there. Even if the cases are modern reproductions or deliberate fakes fobbed off on German tourists, the mummy could be genuine and ancient. 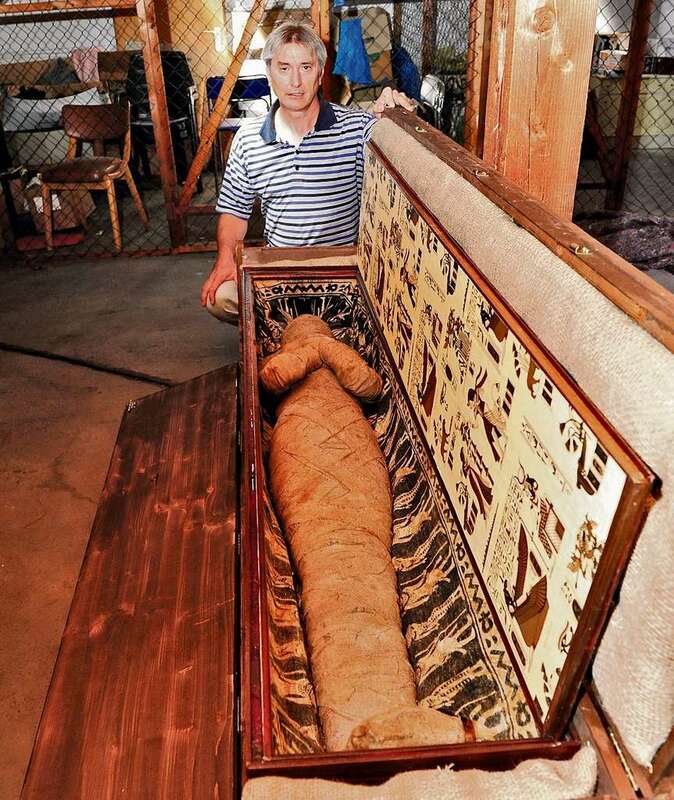 I’m going to go on the record right now and say that I don’t think there’s any way the mummy is real. The linens are so clean and neat, and as I discovered to my shock when I was Alexander’s age, genuine ancient Egyptian mummies aren’t actually wrapped the way poor, long-suffering Boris Karloff was wrapped for the movie. I bet it’s just linen stuffed with materials shaped into a person. The rest of the objects are blatantly inauthentic, so much so that I find it hard to believe they’re even fakes. 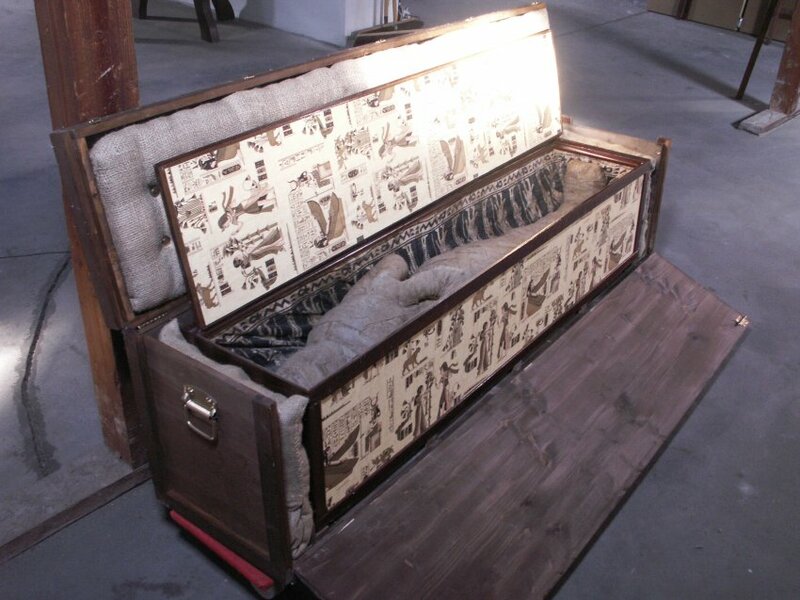 The sarcophagus decorations are repeated like a wallpaper motif and the box is lined with fabric in an Egyptianish print that is not even trying to look real. The mask is shiny and new. The canopic jar is oversized, crudely shaped and has “hieroglyphics” that could easily pass for notepad doodles. All three objects and their containers look not just like fakes, but like theatrical props, in my opinion, which does not in any way diminish the excellence of Alexander finding a mummy in the attic. In fact, I’m hoping that Grandpa Kettler deliberately hid them in the attic for his future grandchildren to find. Meanwhile, police announced Monday that they’ll be looking into this matter. If there does prove to be a body under all that linen, the authorities will initiate an inquest into the cause of death. All in all, Alexander had one hell of a playday.